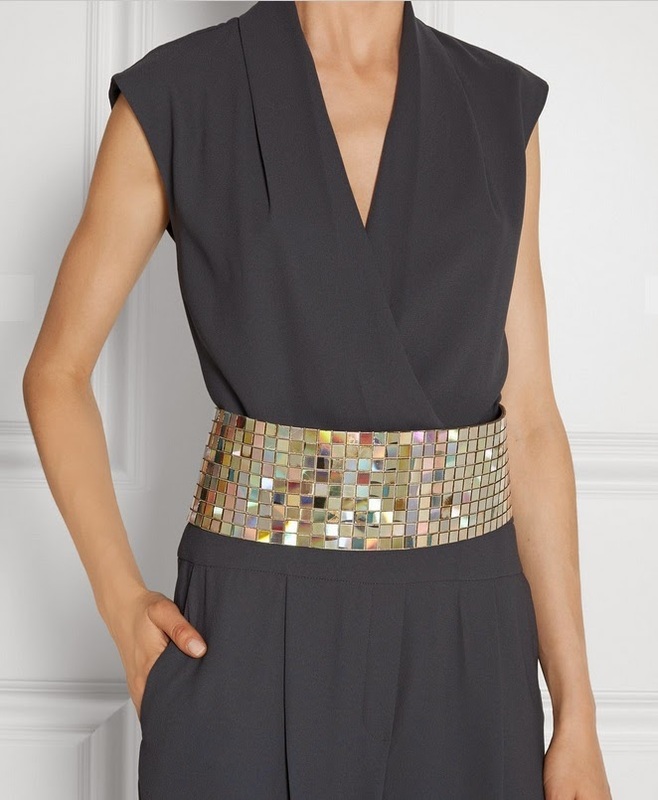 This Maison Martin Margiela belt ($695, net-a-porter) ties at the back and is adjustable so you can wear it high or low on your waist. But the really cool thing about it is the iridescent mosaic: it's made of recycled CD pieces, making each individual belt slightly different. And it's oh so shiny. There's also a similarly made clutch (below, $2500), but I think that the belt is more interesting and would give a new life to any old and tired LBD.